The Solar Homes Package, which is administered by Solar Victoria, provides a rebate up to a value of $2,225 or 50% of the price of a solar power system (whichever is the lower). This is in addition to Australia’s major solar subsidy. The Victorian government says the smart inverter requirement will ensure the state’s grid is able handle the 1 million+ households it expects will be installing solar panels over the next 10 years. What Is A “Smart Inverter”? The term “smart inverter” is a buzzword and it wasn’t clear from the release exactly what sort of device Minister D’Ambrosio was referring to. The Notice to Market shed light on what features will make these inverters “smart”. An inverter will need enhanced capabilities relating to the prevention of islanding in the event of a blackout. Known as “anti-islanding”, this detects the loss of grid power in a fraction of a second and automatically switches off the solar inverter, protecting grid equipment and those working on a fault. While anti-islanding is already mandatory across the country for grid-connected systems, under the changes an inverter will need to comply with international standard IEC 621161, which provides tougher testing procedures and above minimum mandatory safety standards. The other change is Vol-Watt and Volt-Var response modes must be available on an inverter. These features, Solar Victoria says, “facilitate greater penetration of distributed energy sources (DER) by automatically improving power quality”. Australian Standard AS/NZS 4777.2:20152 already mentions Vol-Watt and Volt-Var response modes, but states these “should” be present, rather than “must”. The Notice to Market notes that as at mid-February, more than 95% of inverter installations occurring under the Solar Homes Package complied with IEC 62116, Volt-Watt and Volt-Var. “Disqualifying the 5% of inverters being installed without Volt-Var or Volt-Watt response modes is a good idea, and will make a small difference to grid quality. But to actively manage grid voltage using residential solar inverters we need to co-ordinate the solar inverters to work together in an orchestrated Virtual Power Plant (VPP). Solar Victoria’s Notice to Market regarding the smart inverter requirements and other changes to the Solar Homes Package program can be viewed here (PDF). 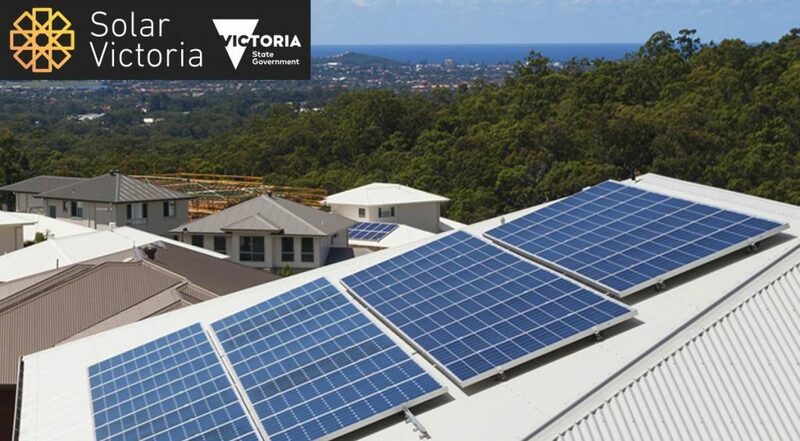 Another recently announced change to the program was the upcoming requirement that all companies installing residential rooftop solar power systems in Victoria under the Solar Homes Package must be Clean Energy Council Approved Solar Retailers – a move that SQ’s Finn and Ronald state will be bad for consumers and bad for business. Is it Vol-Watt or Volt-Watt? The terms seem to be used interchangeably in the article. What is actually meant by volt watt and volt var? Volt-Var response is similar but using reactive power (not real power). Very informative article from the link- thanks.